ADVISORY CHALLENGE DAY - 2018! It was probably a good thing that we had a long weekend for students and staff to recuperate after a truly memorable, exciting, and intentional day! Advisory Challenge Day was a FULL day all about BUILDING. Through facilitated advisory team challenges, students and staff built connections, trust, resiliency, problem-solving skills and of course, CHARIOTS! Through guided reflections, students explored their own leadership and communication styles within their group and how their attitudes and choices can impact the group’s experience. This can be a powerful tool for peers. Our four facilitators were delighted by the enthusiasm, positivity, and warmth they felt from our students...no surprises there! From the start, our Lyme School advisors’ enthusiasm put solid momentum behind this special event. From team costumes, banners, mascots, and t-shirts...we’re so lucky to have this staff on board! Their intention was appreciated and necessary to get students excited and ready for the day. We are looking forward to continuing this tradition to help strengthen advisory member bonds and support students’ self-efficacy. 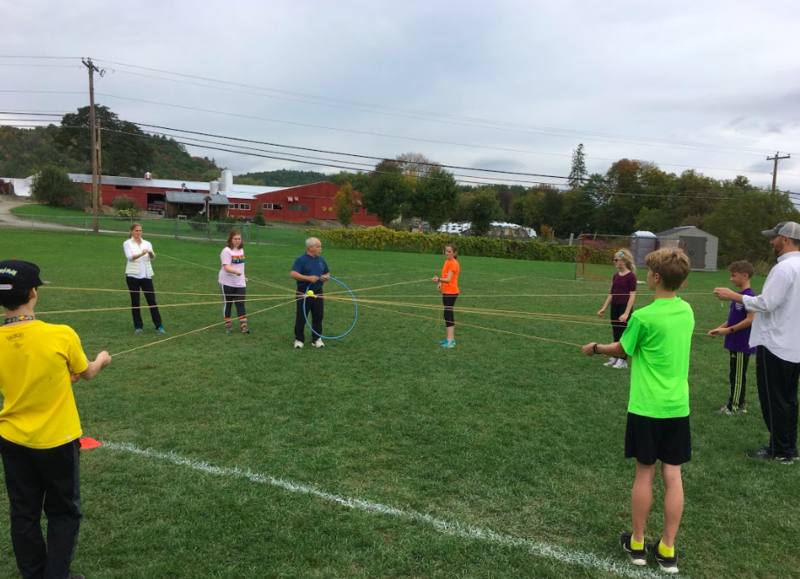 A MASSIVE shout out to all our Lyme middle school students who made this an incredibly fun, inspiring, and rewarding day - they really stepped up by working hard, having FUN, and being kind especially in the face of challenge. Again, I feel so fortunate to be apart of a school and community that places such value on these unique experiences for our students. We look forward to these folks taking their learning and applying it to the challenges they will experience at school and beyond. At the end of the day, they will ALWAYS have their advisory and advisor as a system of support.